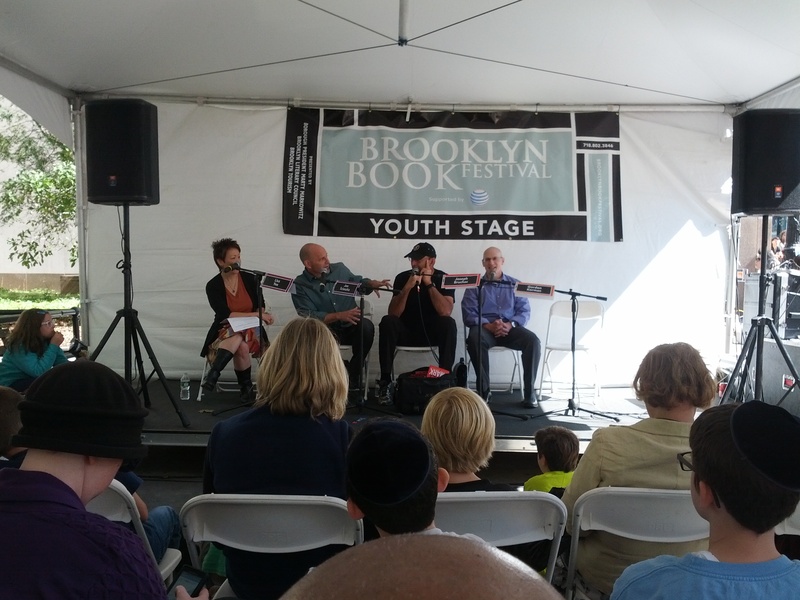 A few of us made it out for the Brooklyn Book Festival this weekend, so I thought I’d share a few shots of the event. It was a bright, beautiful fall day, and it was great to see so many people come out to celebrate reading (a record 40,000, according to this article). 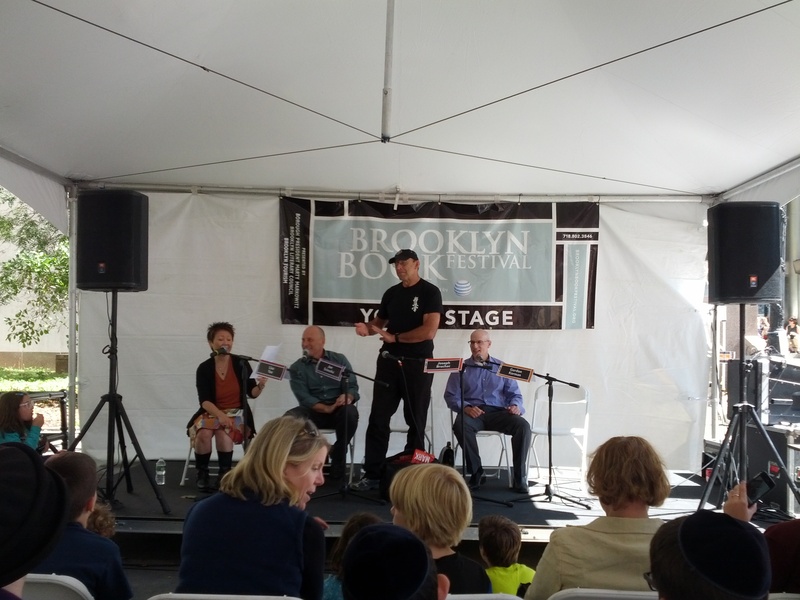 Joseph Bruchac, author of Wolf Mark, Buffalo Song, and several other titles, was on a panel about sports stories for boys with Jon Scieszka and Gordon Korman, moderated by Lisa Yee. They were hilarious! A.) He once wrestled alligators in high school in upstate NY. B.) He goes into jails to read/write with criminals, including serial killers. 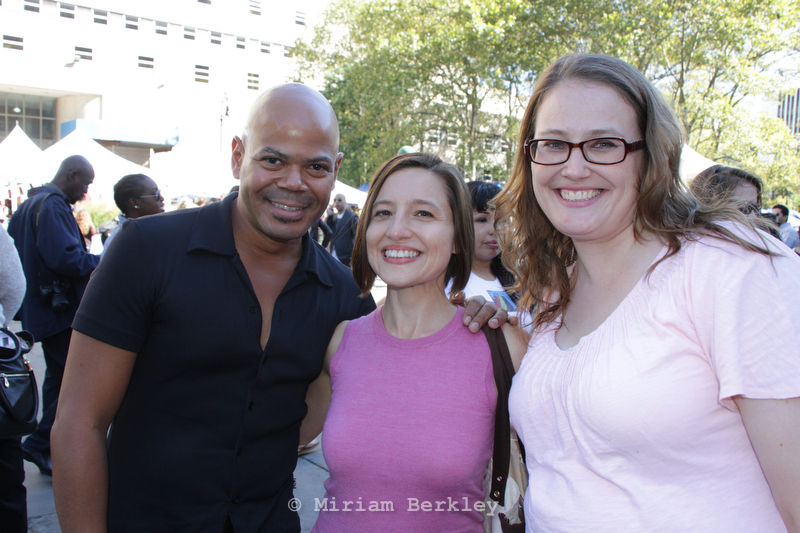 Here’s Tu Books Editorial Director Stacy Whitman (right) with Marcela Landres (center) from Las Comadres, along with an author. From the looks of it, Bird illustrator Shadra Strickland had a pretty good time at the Brooklyn Book Festival this year too. All in all, a lovely day! I would have loved to go to that. Joseph Bruchac is one of my favorite authors.